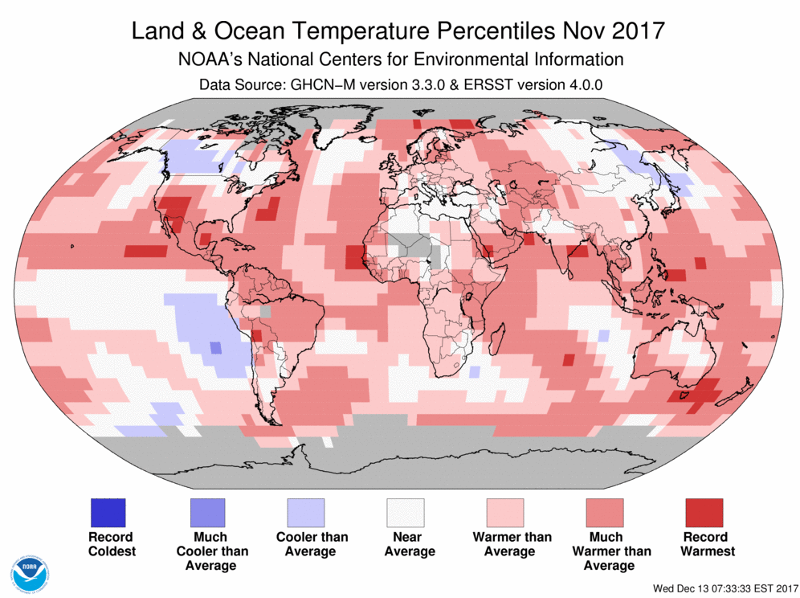 The November globally averaged sea surface temperature was 1.12°F above the 20th century monthly average of 60.4°F – the fourth highest global ocean temperature for November in the record. 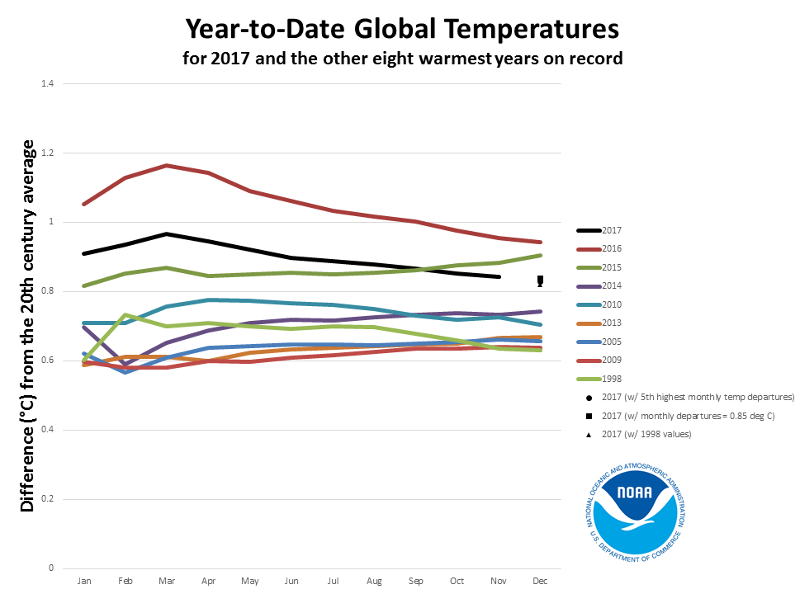 This graphic compares the year-to-date temperature anomalies for 2017 (black line) to what were ultimately the eight warmest years on record: 2016, 2015, 2014, 2010, 2013, 2005, 2009, and 1998. Each month along each trace represents the year-to-date average temperature anomaly. In other words, the January value is the January average temperature anomaly, the February value is the average anomaly of both January and February, and so on. 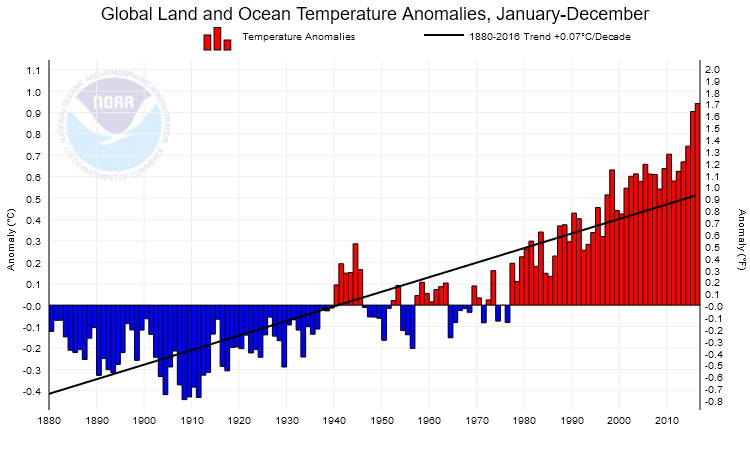 The average global land and ocean surface temperature for January–November 2017 was 0.84°C (1.51°F) above the 20th century average of 14.0°C (57.2°F)—the third highest global land and ocean temperature for January–November in the 1880–2017 record, behind the record year 2016 and 2015 (second highest). If December 2017 matched the fifth highest temperature for December (represented by the black circle): 2017 would end up as the third warmest year on record at +0.83°C (1.49°F), behind 2016 (warmest) and 2015 (second warmest). If December 2017 has a temperature departure of 0.85°C (1.53°F) (represented by the black square): 2017 would end up as the third warmest year (+0.84°C / +1.51°F) on record, behind 2016 (warmest) and 2015 (second warmest). If December 2017 matched the 1998 monthly value (represented by the black triangle): 2017 would end up as the third warmest year (+0.82°C / +1.48°F) on record, behind 2016 (warmest) and 2015 (second warmest). Here again the global land and ocean anomalies for the past 136 years showing a signifkant trend of 0.07 C° per decade. Surface melt spiked in mid-September in southern Greenland. A surge of warm air from the central Atlantic fueled the late melt event, which was confined to the southwestern and southeastern coasts and peaked on 15 September 2017. The late season spike is one of the largest to occur in September on satellite record (since 1978). 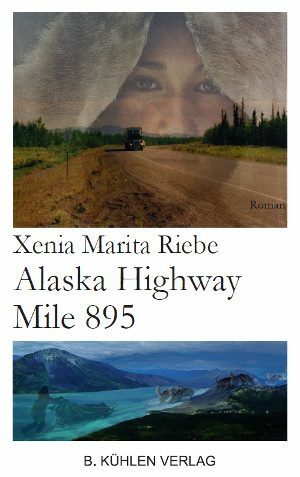 The event was not related to the recent hurricanes. 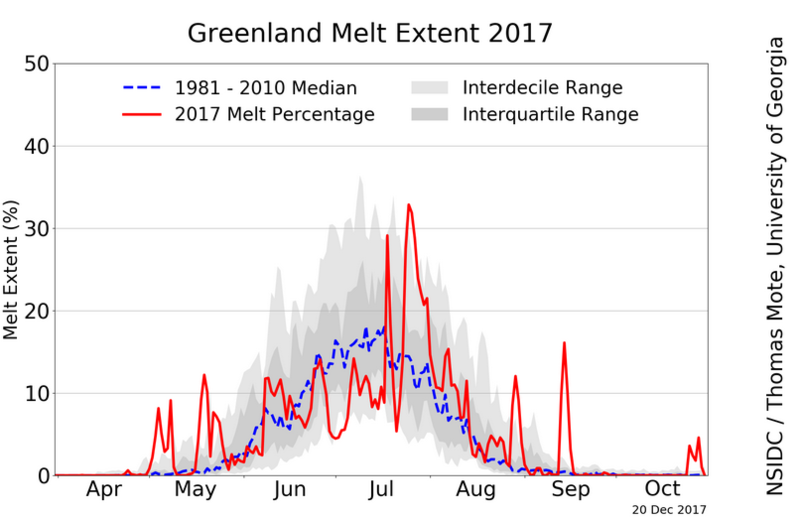 This chart shows the daily melt extent as a percentage of the ice sheet area 2017. Greenland’s ice is hugely important for the planet. The sheet of ice that covers 660,000 square miles is more than a mile thick and has a volume of 684,000 cubic miles..
A recent study found that Greenland’s melting ice accounted for 25 percent of global sea level rise in 2014, a share that’s grown from just 5 percent in 1993. This means that Greenland is becoming an increasingly dominant driver of rising water levels around the world.